The last couple of weeks I have made it a point to make at least one of our weeknight meals in the crock pot. Sort of a little personal kitchen challenge I guess you could call it. 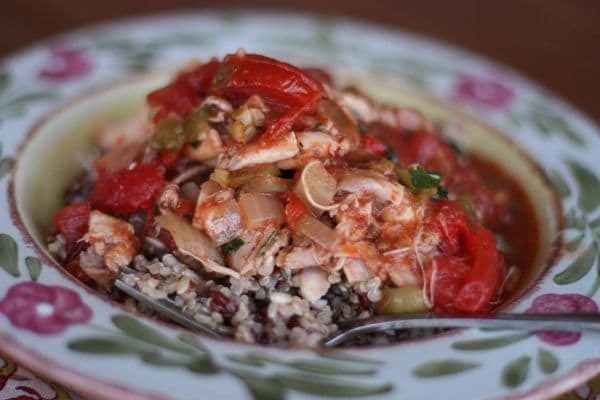 I found this recipe on Skinnytaste last week when I was working on this roundup of slow cooker chicken recipes for Babble. When I saw it I looked at the ingredients and knew that I would have to try it out on the family very soon. It’s a very simple and straightforward recipe, my favorite kind, and once everything is in the crock pot the only thing left to do is cook up some rice and you are good to go! My husband LOVED this. My kids…eh, well, let’s just say, it was a little ambitious for them. They ate the chicken and the rice with some of the broth, but they were not excited about all the vegetables on their plate. Their veggies became my veggies, and I did not complain at all. I highly recommend a splash or two of your favorite hot sauce for a little kick. And because I didn’t change a thing to the recipe (that doesn’t happen very often with me! 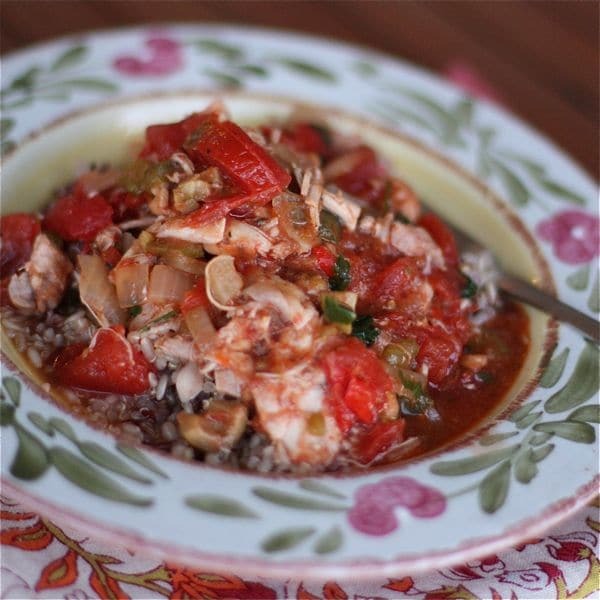 ), I’m just going to send you directly to Skinnytaste to find the recipe for Slow Cooker Chicken a la Criolla (along with very helpful nutritional info!). If you haven’t been to Skinnytaste before, well, you are in for a treat because her blog is full of incredibly healthy deliciousness! thanks for the new blog find…i can’t wait to head over and try this recipe! This looks so good. 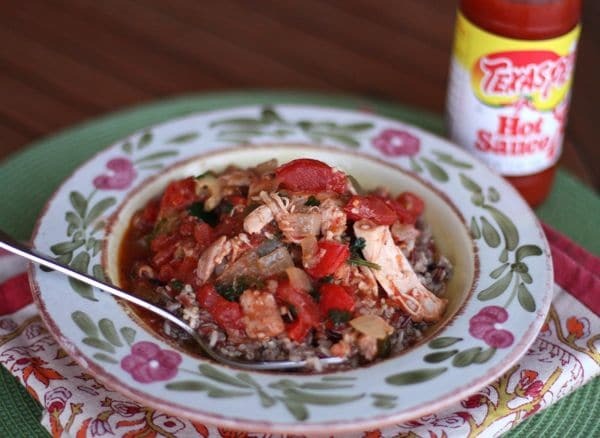 The crock pot + hot sauce are always winners in my house! That is a beautiful dish! My boys are not crazy about vegetables either, but I know I would love it. Yum! All of the tomatoes look so good! Oh, girl, this is a must-try recipe. Thanks for sharing. YUMMY! I love my slow cooker, too! It looks beautiful and delicious, Aggie! This looks so delish – something I definitely need to try! You should come over to my blog today, we’re having a Crock Pot Recipe Blog hop – it would be great for you to share some of your yummy recipes! I definitely want to try this – it sounds amazing! !